Oman has around 19 banks that run its financial economy. The Oman banking system can be sub-divided into 3 major sectors. The 1st sector under which most of Oman banks fall under the local commercial sector. The 2nd sector is the one where the branches of several foreign banks have opened their offices in the country of Oman. The last and the 3rd one is the specialized sector and under the same, there are only two types of specialized banks lie. The Central Bank of Oman is the core bank of Oman and it attempts to regulate, and it also licenses the monitors’ interest rates, local banking sector, and all other issues development notes and bonds. As per the Moody’s, Oman’s banking system outlook was assigned as stable, as higher hydrocarbon output along with government borrowing, are expected to stabilize the domestic economy and support a healthy level of public spending. But recently it was assigned a negative outlook. For the year 2015, Oman bank’s total combined assets amounted to the US $73,000 million which was the smallest in the (i.e. GCC) Gulf of Co-operation Council. 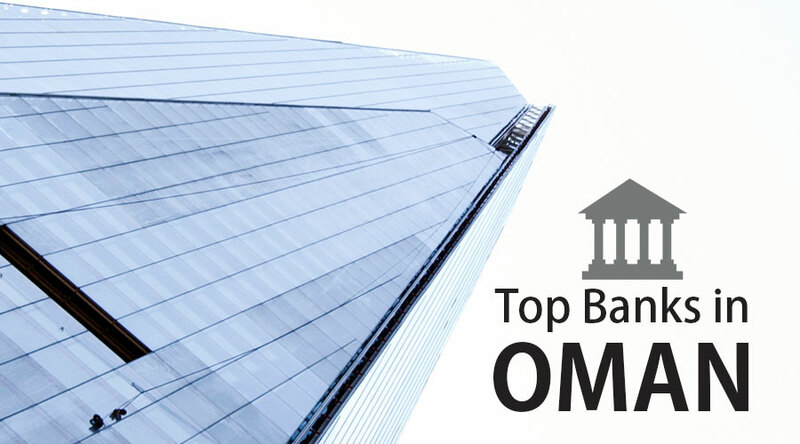 Some of the top banks include Bank Muscat, national bank of Oman, Oman Arab Bank etc. Bank Muscat was founded in 1982 and is the top leading financial service provider. It provides several services Retail Banking, Corporate Banking, Islamic Banking, Private Banking, Investment Banking, Treasury, and Asset Management services. Its headquarter is situated at Oman, Muscat. It has handled around US$31.92 billion of the total assets. Bank Muscat had generated net interest income around US$718.78 million in the year 2018. In the same year, the net income of Bank Muscat was around US$466.58 million. It employs around 3024 employees. National Bank of Oman was founded in 1972. National Bank of Oman is the 1st local bank of the Sultanate. Its headquarter is situated at Oman, Muscat. The bank operates through several business segments: Wholesale Banking, Commercial Banking, Retail Banking, and Funding Centre. It has handled around US$348.84 million of the total assets. National Bank of Oman had generated net interest income around US$234.78 million in the year 2017. In the same year, the net income of the National Bank of Oman was around US$114.35 million. It employs around 1,500 employees. Bank Dhofar was founded in 1992 and its headquarter is situated in Muscat. The bank operates through several business segments: Corporate Banking, Retail Banking, and Treasury and Investments. It has handled around US$11.03 billion of the total assets. Bank Dhofar had generated net interest income around US$219.75 million in the year 2017. In the same year, the net income of Bank Dhofar was around US$123.70 million. Alizz Islamic Bank was founded in 2012 and its headquarter is situated in Ruwi. Alizz Islamic Bank operates through major 3 segments: Corporate Banking, Retail Banking, and Treasury. It manages roughly a network of 7 branches. It has handled around RO568.96 million of the total assets. Alizz Islamic Bank had generated net interest income around RO21.158 million in the year 2017. In the same year, the net loss of Alizz Islamic Bank was around RO2.99 million. Oman Arab Bank was founded in 1972 and its headquarter is situated in Safat and this bank is a subsidiary of (OIDIC) Oman International Development and Investment Company SAOG. The bank operates through major 4 segments: Islamic Banking, Corporate Banking, Retail Banking, Support, and Unallocated Functions. It has handled around RO2.14 billion of the total assets. Oman Arab Bank had generated net interest income around RO55.59 million in the year 2017. In the same year, the net income of Oman Arab Bank was around RO26.55 million. It employs around 1,100 employees. Bank Nizwa was established in 2012 and its headquarter is situated in Muscat. Bank Nizwa focuses on major 3 segments – corporate banking, retail banking, and treasury & investment banking. It has handled around RO696.64 million of the total assets. Bank Nizwa had generated net interest income around RO27.95 million in the year 2017. In the same year, the net income of Bank Nizwa was around RO3.78 million. It employs around 300 employees. Ahli Bank was established in 1973 and is an Islamic bank. Bank operates into 4 segments and the key activities of the bank include trading in real estate and establishing investment funds, accepting deposits and other kinds of Islamic Transactions. It has handled around QAR39.883 million of the total assets. In the year 2017, the net income of Ahli Bank was around QAR639.71 thousands. Bank Sohar was established in 2007 and its headquarter is situated in Muscat. The bank operates through Retail Banking, Government and Project Finance Syndication, Wholesale Banking, Investments, Treasury, and Islamic Banking segments. It has handled around RO2.97 billion of the total assets for the year 2018. It employs around 700+ employees. Beirut Oman Bank was established in 2006 and is a branch of Bank of Beirut Lebanon. It manages 4 branches – Sohar, Muscat, The Wave, and Ghubrah. It has handled around LBP27,687 billion of the total assets. Beirut Oman Bank had generated net interest income around LBP436.52 billion in the year 2017. In the same year, the net income of Beirut Oman Bank was around LBP311.53 billion. It employs around 150+ employees. HSBC Oman was established in 1948 and its headquarter is situated in Seeb. HSBC Omanis handling around 110 branches across the United Kingdom and the Middle East. It has handled around US$6.06 billion of the total assets. HSBC Oman had generated net interest income around US$140.91 million in the year 2017. In the same year, the net income of HSBC Oman was around US$49.65 million. It employs around 900+ employees.